HSB BI&I is a leader in providing specialized equipment breakdown insurance. We provide insurance and reinsurance to Canadian and global businesses through our coast to coast network of offices, 4,000 independent insurance brokers and over 50 major insurance companies. 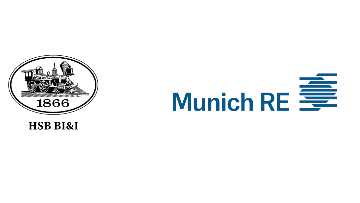 HSB BI&I is a member of the Hartford Steam Boiler Group and part of the global Munich Re Group of Companies. • We have over 140 years of experience and through our modern systems and practices remain unsurpassed in meeting our customers’ needs. • You can become an expert in your field while enjoying a healthy work/life balance and a collaborative, friendly atmosphere in our offices. • We offer a comprehensive benefits program to our employees. Situated in our Head Office in downtown Toronto and reporting to the Claims Manager, Strategic Products, the main focus of the Claims Adjuster, Strategic Products is the prompt, professional and effective investigation and adjustment of specialized personal lines claims. As part of a dynamic growing unit, the successful candidate will also participate in special project initiatives geared to improve practices and efficiencies. Creating and maintaining a work environment that promotes respect, diversity and dignity is important to us. We strive for equality in our workplace, to eliminate employment barriers, and promote a workplace based on principles which align with our company values and promote positive employee practices. We are committed to sustaining our Employment Equity Program to ensure that members of all groups enjoy equal access to jobs and are able to participate and contribute to their fullest potential. Candidates requiring accommodation during any stage of our selection process should advise us of this; we will strive to work with individuals to find a suitable means to meet their needs. If you are interested in applying for this position, please quote Job Reference CASP0119-BW and send a covering letter along with a resume to: hr@biico.com. We thank all candidates for their interest; however only those selected for interview will be contacted.